Music on the Half Shell features the best in local and nearby artists. The series showcases a variety of genres from Jazz to Folk, Bluegrass to traditional Sea Shanties. All our concerts take place in the 160 year old church sanctuary which features virgin acoustics. At each performance we offer for sale oysters grown barely a mile away from the Meetinghouse in Robinhood Cove. 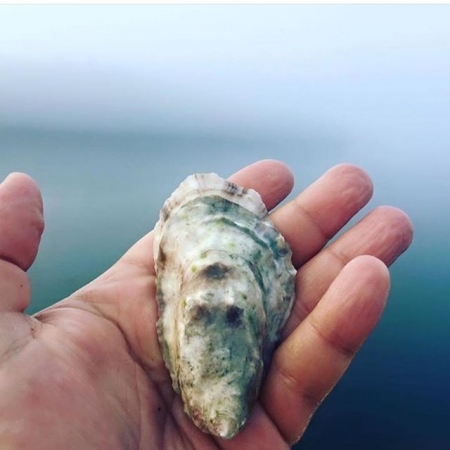 A symbol of Maine’s aquaculture future, the Robinhood Cove Oyster Farm and Georgetown Island Oyster Company are leading the development of a new industry in the traditional fishing village of Georgetown. Doors open at six, concerts start around seven – come early for oysters (for purchase) and enjoy Maine beers on tap, whiskey, wine, and other cocktails throughout the night. Try our Gruet sparkling wine and oyster pairing, guaranteed to addict you to sparkling wine. Below are links to our next four shows. You will find artist bios, music and ticket information on each event page. 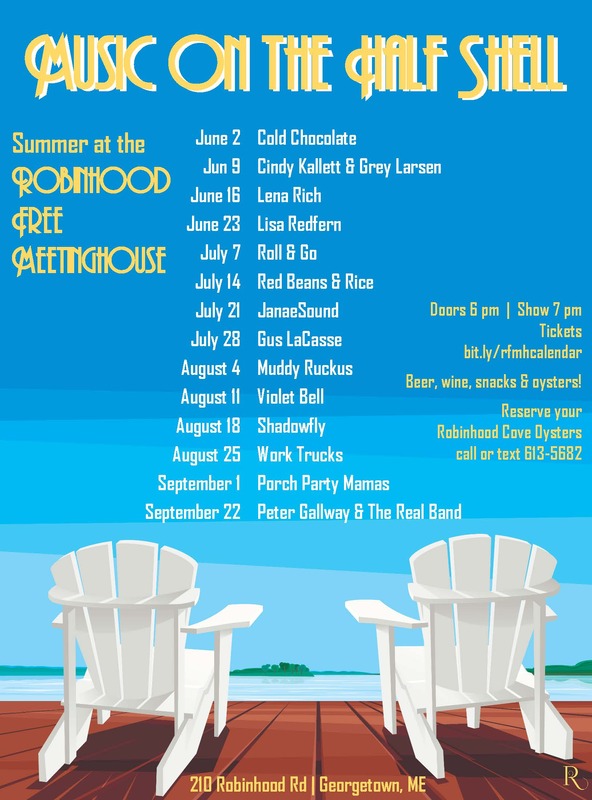 To see the whole schedule go to our event page or simply download our summer music poster. We look forward to hosting you soon! 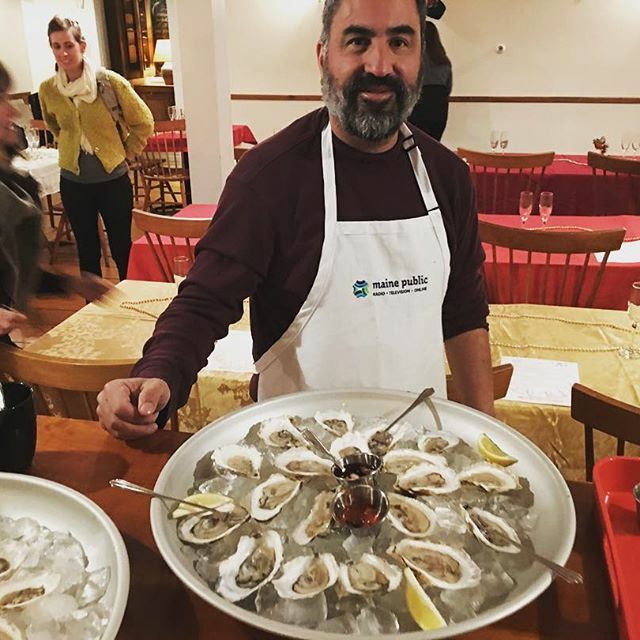 Watch Tommy Bolster from Robinhood Cove Oyster Farm interview Jonathan Head from Central Distributors on why sparkling wine pairs soooo well with oysters. Want to know more?? Listen to our Spotify Playlist of our upcoming 2018 Summer artists! !